SG and Williams Gaming have done a decent job of transferring the traditional Monopoly board onto the reels and thus making it actually profitable. 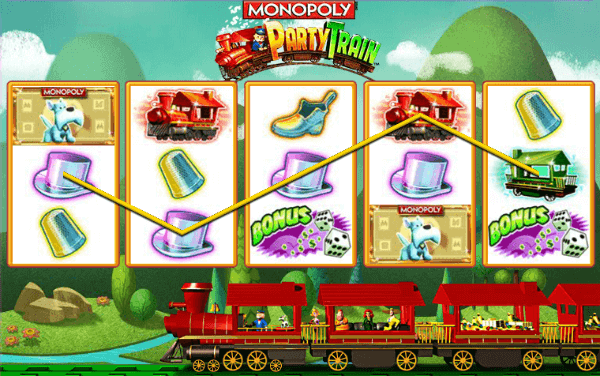 This is not the developer’s first Monopoly venture and the popular Hasbro board game has already inspired a few online versions, whereas Monopoly Party Train variant has so far been limited to land-based casinos. Finally, after a long wait, the game can be played online via Play4Fun network which enables the casino visitors to unlock and launch certain releases on their PCs and mobile device. The slot is played at 5 reels and 27 paylines, with the return to player percentage rate estimated at 96.1%. Even if you have never played Monopoly (which is highly unlikely), the logo, font, and figurines are so iconic that you will easily recognize most of the slot’s symbols. Together with Rich Uncle Pennybags as the railroad conductor, SG introduced the Scottie Dog, Race Car, Top Hat, Thimble, Boot, and Wheelbarrow as the main symbols. There is also a special Bonus icon with a pair of dice which unlocks the extra feature when it lands on the reels. The bets are adjusted manually or by using the Max Bet command, and every bet is played on all 27 lines. The maximum payout will depend on the amount of money wagered although triggering the wheel of fortune bonus feature can increase the payout up to x50, depending on your random choice of a multiplier. 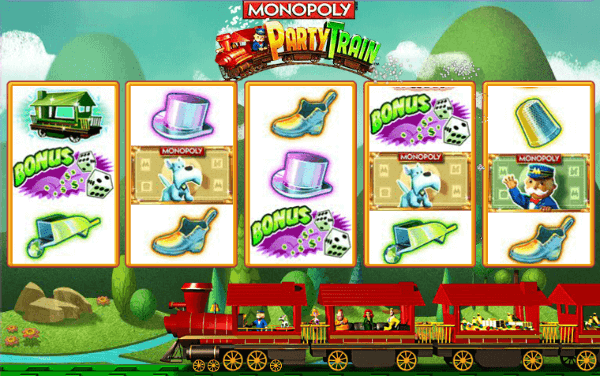 Monopoly fans or not, most of the players who like busy slots with an array of bonuses will enjoy the Monopoly Party Train. We say “busy”, since there are quite a few special features available and the game is bound to keep you on your toes. 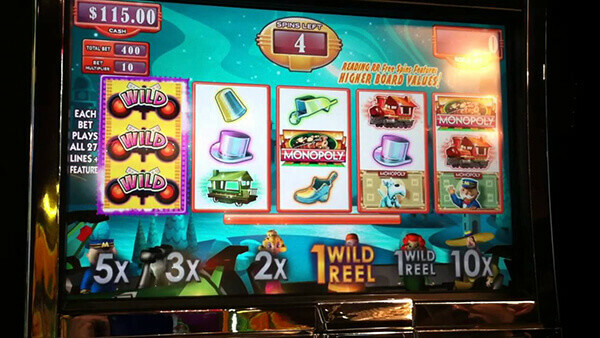 The slot offers a classic gameplay with exciting bonus features which can be pretty generous in terms of payments. Free Spins are unlocked with the combination of bonus icons and the players will then get the opportunity to roll the dice and move the game figurine across the board. This move will determine the number of bonus rounds. Once you hit the Short Line Railroad, another dice roll will be triggered. During the game, the players can land onto the various positions on the board, each carrying a different perk, such as Wild locked reels and bonus moves. 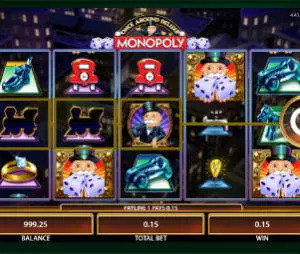 The picking game is also available with the wheel of fortune bonus and a multiplier is selected by choosing one of the fields placed along the bottom of the game screen. Finding this slot outside of the Play4Fun network is virtually impossible and if you manage to register an account with the land-based casino that offers the game, the free online play version will not be available. The game can only be played once unlocked (a fee will have to be paid), which is a downside for all those who prefer spinning a few test play rounds without having to pay for the privilege – even if it is just the unlocking fee. Despite what one might expect looking at the game’s retro design, Monopoly Party Train is pretty dynamic and offers a satisfactory RTP percentage.